Attention! 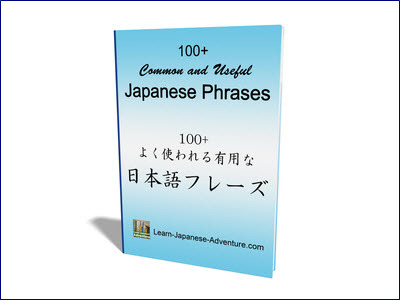 Japanese Language School owners, thousands of students are searching online daily for their ideal Language schools that teach Japanese and many of them are coming to this website. I have also received many enquiries asking for my opinion on selection of a good language school in their areas. Why I Setup this Japanese School Directory? It's impossible for me to know the quality of all the Japanese language schools in every country since I am not living there. So in order to help these visitors from around the world, I have built this directory to gather a list of schools where they can find their ideal Japanese language schools at one place. Now here is your chance to reach these potential students with your own unique Showcase Page in this directory. If you are a staff or a student of a Japanese language school or a college that teaches Japanese, and you think that your school should be in this directory list, please suggest to the school to submit to this directory. 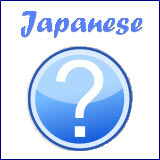 Scroll down or click here to list your school in this Japanese Language School Directory. For students searching for a school near you, please use the search box below to find the one you are looking for in our database. Just type in the city, state (province or prefecture), country or the language school name (if you know the name) in the search box and hit the search button. What is so Unique about this Language School Directory? It's free! Unlike other directory services which charge you for listing in their database, this Japanese language school directory is totally free! Your Page can be easily found here. Your potential students can find you without having to click through many layers of categories to reach your Page like in other directory services. It's easy to find. If you found this directory so will your potential students, so why not make the most out of it. It'll take you very little time to enter your school information and you will be rewarded with free exposure and more potential students. Your graduates or current students can visit your listing to leave a comment or testimonial about their experiences with your Japanese language school. This helps future students feel more confident contacting you because they know you already have satisfied customers. And the more comments you have, the higher the chance that your Page will be found. Every Listing Page comes with Social Networking features to help you get the word out about your Page and your school. Just click on the respective buttons at the end of your page to Tweet or post on Facebook. This will help your page rank higher in search engine result page. No need to renew your listing every year, you only need to list once. If you want to update your school information, simply contact me and I'll make the changes. It's straightforward. Just fill up the form below. IMPORTANT: Please read and follow the instructions to fill up the form. REMEMBER to set the notification option and leave your email address so that your listing will not be rejected. 1) San Franciso, California, USA - ABC Language Center. 2) Shibuya, Tokyo, Japan - DEF Japanese Language Academy. 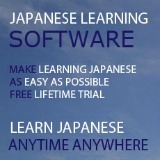 3) Yokohama, Kanagawa, Japan - XYZ Japanese Language School. Your information will appear on a Web page exactly the way you enter it here. You can wrap a word in square brackets to make it appear bold. For example [my school] would show as my school on the Web page containing school information. A minimum of 300 words (ideally 400 words) is recommended for search engine optimization. NOTE: We will reject your listing if you don't provide any contact information, as we cannot respond to enquiries received via our website. Do you have a picture or image to add? A picture is worth a thousand words. It adds visual appeal to your school and helps to connect with your potential students who visited this page. Please ensure that you have the rights to use the pictures or images (to avoid copyright's issue), and that the quality of the pictures/images are good in order to reflect well on your school. Click the "Choose File" button and find the picture/image on your computer. Then select it and click on the "Open" button to upload it. If you like, type in some describing texts for the uploaded picture in the "Caption" box. These texts will appear when your mouse move over the picture. Click below to see other Japanese language schools listed in our directory.